Hi everyone!! I seem to rack my brain every month, trying to think of what to do for my technique assignment. I will admit...I am not the most technique oriented card maker. I LOVE product...especially patterned paper & ribbon and small accents! But, there is one other thing that I really LOVE to do, and that is stamp. But, even my stamping tends to be really basic. I have a really simple stamping technique that I use often on my projects, and it just adds so much to the stamping....and that is stamping part of the image to patterned paper and then glittering it. Here is a little how to! 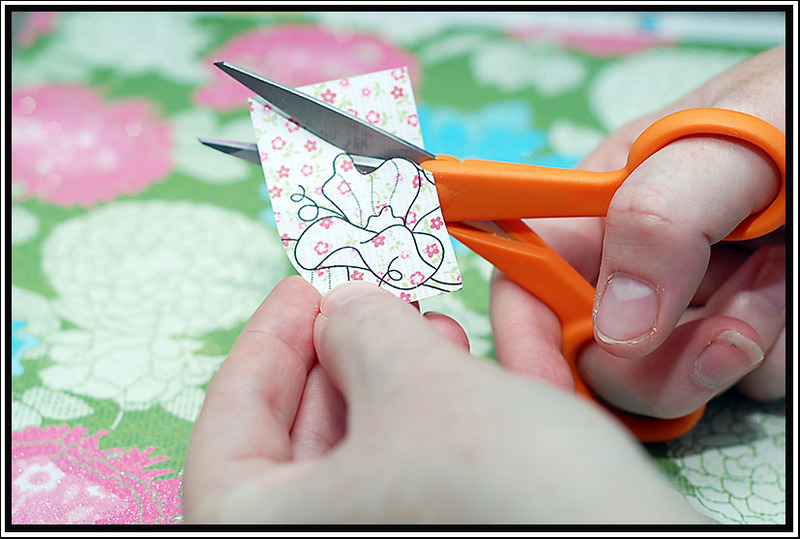 First, stamp the image directly on the main surface of your project. 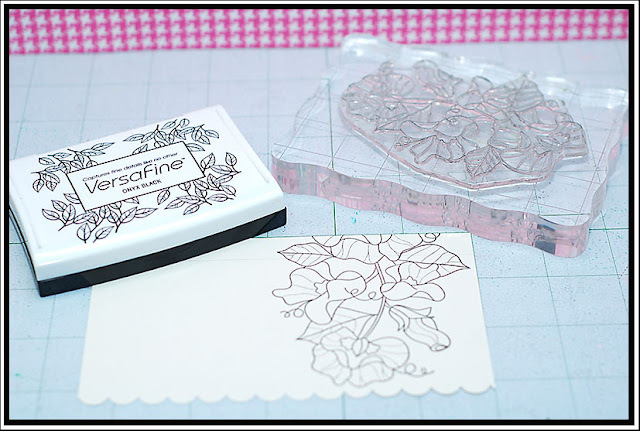 On this one, I have stamped it to a cream cardstock block that I already put a scalloped edge on. I would suggest using an ink that dries quickly, like Versafine or Staz-On. I prefer versafine because it stamps images with perfect detail and crisp lines. Definitely stay away from pigment ink, because it takes awhile to dry and smears very easily. 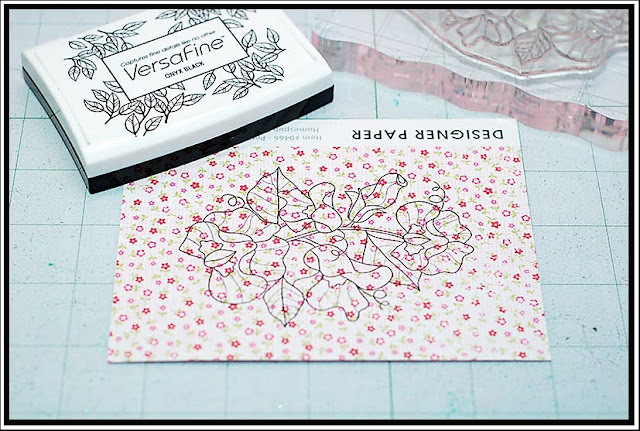 Now, set this stamped image aside, and stamp the same image to patterned paper. I prefer to use patterned paper that has a smaller pattern to it. GCD Studios has many papers that would work perfectly for this!! Since this ink dries so quickly, you can immediately start cutting out the image. 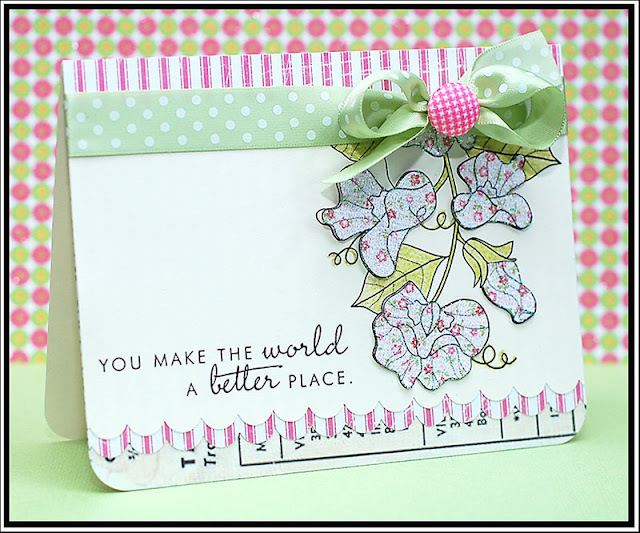 For this card, I am only cutting out the actual flowers from the stamped image. Once you have cut out all of the flowers, spray them down with adhesive and cover them in glitter. I use a very fine glitter by DecoArt called Glamour Dust. I have had it forever, and it is my favorite! I am just hoping that I can find it the next time I need to buy it! 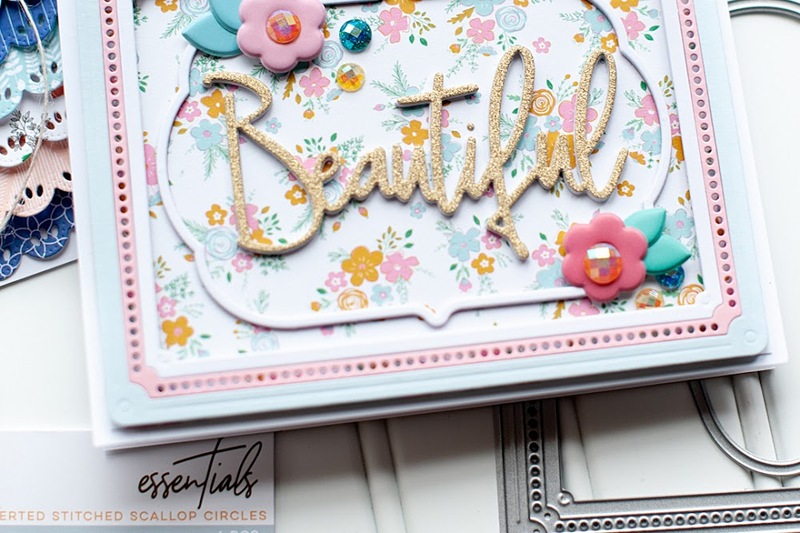 After that, you just need to put your card together and adhere the glittered pieces to the top of the original stamped image. Here is how my card turned out! 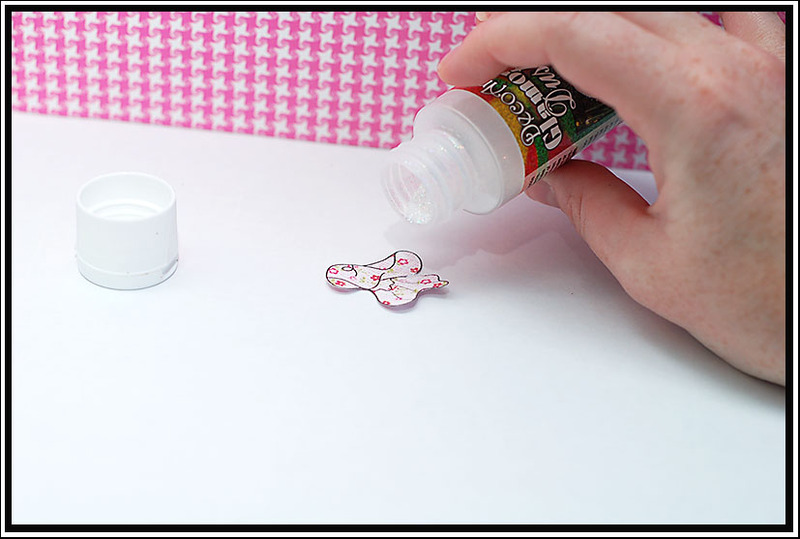 GCD Studios adds glitter to a lot of their product, so this glittering technique goes perfectly with their product!! 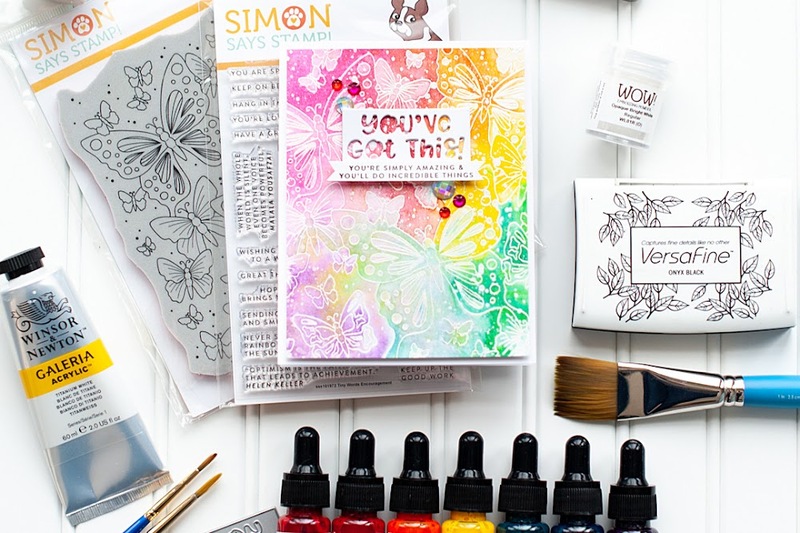 So, break out your patterned paper, your favorite stamps and some glitter...and go to town! It is a lot of fun! Product: Paper, paper frill, brad, journal tag & sentiment tag all from the Homespun Chic line by GCD Studios. 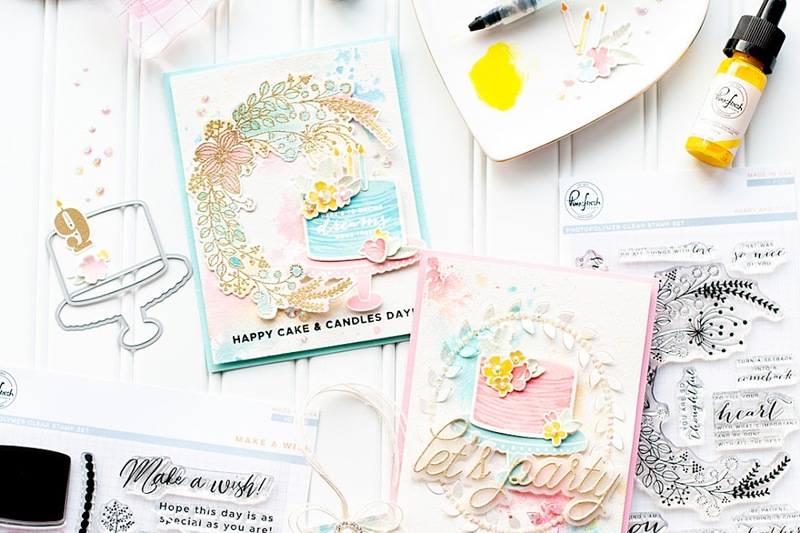 Gorgeous cards Lea! Love the shimmer! Thanks for sharing the tutorial! Hey girl! these are soooo cute! I love how you mix the patterns together! 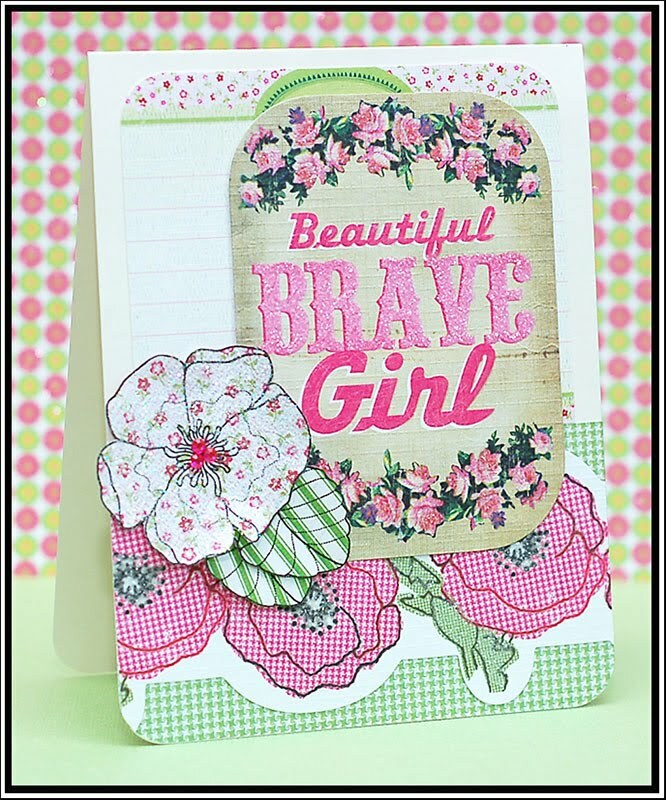 Beatiful flowers on lovely cards! Thanks for the tutorial...love it!